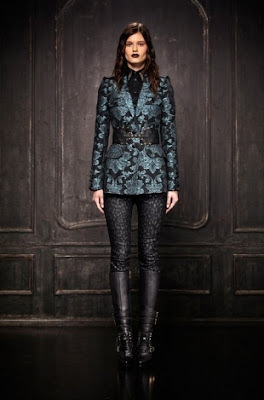 Lush Fab Glam Inspired Lifestyle For The Modern Woman: The Best Pre-Fall 2013 Fashion Collections. The Best Pre-Fall 2013 Fashion Collections. Fashion houses and designers like Jason Wu, Roberto Cavalli, Oscar de la Renta, DSquared2, Temperley London, Prabal Gurung and more have been busy showcasing and sending their fabulous designs and collections down the runway. Read on to see the beautiful designs they created as we feature the best of the Pre-Fall 2013 Collections. Designer Jason Wu focused on modern glamour creating body-con cocktail dresses, sheer and cut-out evening dresses and embellishing with sequins. Designers Dan and Dean Caten﻿ created a vintage 1940s inspired collection filled with soft fabrics that accentuated the female body. This collection of abstract fabrics focused on technical details and shapes with dresses that emphasized the waist line. 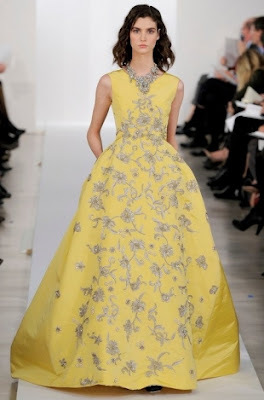 As expected Oscar de la Renta produced a classic and elegant collection. For this collection designer Alice Temperley focused on 1930s cinematic elegance. 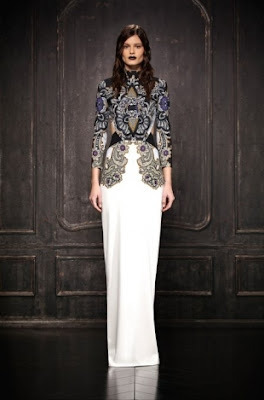 Designer Roberto Cavalli released a head turning collection that fused baroque elements with military accents. Which designer's Pre-Fall 2013 collection do you prefer? Leave a comment below.